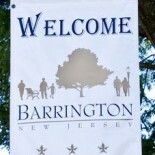 Parents and families need to be aware of upcoming changes to the school lunch program to “avoid unhappy kids,” according to a presentation Monday at the Barrington school board meeting by the company responsible for the district’s lunch program. The changes are a result of new federal requirements that school lunches have less sodium, more whole grains and more fruits and vegetables. The goal is to teach children to rely on a variety of healthier foods rather than the few “easy” foods that have contributed to the national obesity epidemic. The new guidelines are to take effect in the fall. In Barrington, lunches are expected to cost about 10 cents more for students, according to officials with Nutri-Serve Food Management. The actual cost of providing the lunches is estimated to be about 50 cents more per lunch, those in charge of the program said. The difference will likely result in a significant drop in the revenue the program generated for the school. Fruits and vegetables must be put on the tray, rather than just being available as an option. Lunches must be 550-650 calories for grades K-5 and 600-700 calories for grades 6-8. At least 1 oz. of meat or meat alternative must be offered every day, but no more than 10 oz. may be offered each week. At least 1 oz. of grains must be offered every day, but no more than 9 oz. may be offered each week for grades K-5 (no more than 10 oz. for grades 6-8). The Nutri-Serve representatives expressed to the school board that it was important to advise families of these changes as early as possible so children wouldn’t come home from the first day of school unexpectedly having had less of the food they were used to. They noted this was one of the biggest changes they have seen take place, but that it would result in a better way of eating in the long run. I’ll still send lunches to school. I can guarantee grade-A ingredients, control serving sizes and follow up if uneaten portions return home. Please go to the myplate.gov website, which has a LOT of very very useful dietary information. They have changed the “ideal” mean from a pyramid to a plate, which is what is triggering these changes. Even if you are going to pack a lunch, this website will give you information on things to pack. Actually http://www.choosemyplate.gov , but http://www.myplate.gov works also. This entry was posted on June 12, 2012 by Barrington Bulletin in Schools and tagged avon, district, health, lunch, lunch program, nutri-serve, school, school board, school lunch, woodland.